History is a great teacher, sometimes in unusual and very personal ways. Here’s an example. Reading the Reichskonkordat (“Reich concordat” with the German state) today, 85 years after its 1933 signing, sparks some interesting thoughts. Structured as a treaty to govern the relations between the Holy See and German government, the text is remarkably positive. It’s also thorough. As deals go, this was a good one. The state got a stable legal relationship with a well-organized, potentially troublesome, and internationally connected religious minority. The Church got protection for her people. A few problematic passages in the text do exist. Article 14.2 obliges the Church to consult the German Reich on the appointment of archbishops and coadjutors. Article 16 requires new bishops to take an oath of loyalty to the state. But details like these weren’t unknown in Europe’s historical context. The concordat’s guarantees of Church freedom to profess and practice the Catholic faith, and to pursue Catholic education and social ministries without interference, are extensive, explicit, and generous. They were also empty. The Reich began violating the deal almost as soon as the ink on the treaty was dry. State pressure on Church life was so harsh by 1937 — just four years later — that Pius XI’s encyclical, Mit brennender Sorge (“With burning concern”) had to be smuggled into the country. It was read from all of Germany’s pulpits on Palm Sunday of that year. In it, the Holy Father condemned the Reich’s (Nazi-directed) neo-paganism, race hatred, “Aryanized” Christianity, widespread attack on human rights, and contempt for the Old Testament. In response, the state simply doubled down on its pressure. What’s the lesson here? It’s this: If you sup with the devil (so the proverb warns), you’d better bring a long spoon. It’s probably a bad idea in the first place. But there’s more. As it is in diplomacy and politics, so it is in every person’s individual life. The deals we make with the world, and the flesh, and the devil, always go south. The line dividing good and evil is usually — not always, but usually — pretty bright for anyone who wants to see it. Most of us really don’t want to see it, of course, because doing so would cramp our own daily behavior. We negotiate little “concordats” with our favorite personal sins, ugly habits and dictatorial appetites all the time. We all have a barrel of excellent excuses. You do. I do. And we add to them all the time. February 14 this year is Ash Wednesday, the start of Lent. It’s the day on which a loving God invites all of us to smash our miserable little concordats with sin and its alibis to bits. The teaching of the Church – rooted in the Word of God, confirmed by experience, consistent in its expression, sometimes difficult but always liberating – is the standard of holiness and the guide to our Father’s expectations. We need to cling to it, confident in God’s mercy, in judging our own actions and redirecting our lives, no matter how radically that new path demands. So may God grant all of us a holy and fruitful Lent, and I ask you to pray for me, as I will pray for you. Wise words, and useful, and as I see it, you speak God’s mind. 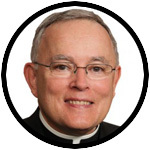 Thank you, Archbishop Chaput, for this inspiring column. It’s probably time for the faithful shepherds openly to take issue with Marx, Cupich and co. Some of the wording in this column – suggests good Archbishop Chaput is doing just that. Deo gratias. A true shepherd. Thank you Archbishop. Thank you your Grace. I really appreciate your theological forthrightness. patrick from Nigeria. Thank you for your witness to Christ and for your perseverance. Your thoughts are a beacon in the storm. May God protect you and continue to guide you as you run the race. Written as a true shepherd would! There is much to meditate upon in that. Thank you for keeping the light of truth on so that we blind may still see in these dark times. Thank you so much Archbishop. A voice of clarity for our Lenten season. Thank you Archbishop Chaput for a very insightful article. My “hangup” have more excuses than I’d like to admit. I’m praying to quit smoking after 29 years. As a recovering alcoholic with 9 years clean and sober I have an idea this won’t be easy. And its not supposed to be either. Your message gives me hope and I’m praying to all my brothers and sisters out there for a happy and Holy Lent. Pray for me. Your Brother in Christ! Thank you so very much Archbishop Chaput for preaching real TRUE Catholicism. So refreshingly encouraging amongst the mush of watered down Catholicism that has permeated the Church’s high Churchmen in the last 5 years and even beyond that! What these soft prelates fail to realize is that Christ did not ‘compromise’ nor was he a ‘wimp’. Never will you read of His situational ethics in the Gospel. And, whether intentional or unintentional, the CHINA debacle is a betrayal of the greatest magnitude. Those in Rome need to loose their naitivity and fast because it will cost many lives. If they really think they can trust the Chinese government, they may be gentle as doves but they are NOT wise as serpents. God bless you Archbishop Chaput and thank you for your wisdom, your courage and your eloquent and unfailing defense of the church and her truth against her relentless enemies, most especially those enemies within. As a resident of the Chicago area, I consider you my shepherd since faithful Catholics in my archdiocese have been bereft of a shepherd since the death of Cardinal George. Be assured of my prayers and my continued gratitude for your ministry, your love of the Lord and your defense of the Truth. Please pray for the many faithful Catholics in the Archdiocese of Chicago as we seek to endure the present trials with faith and hope.